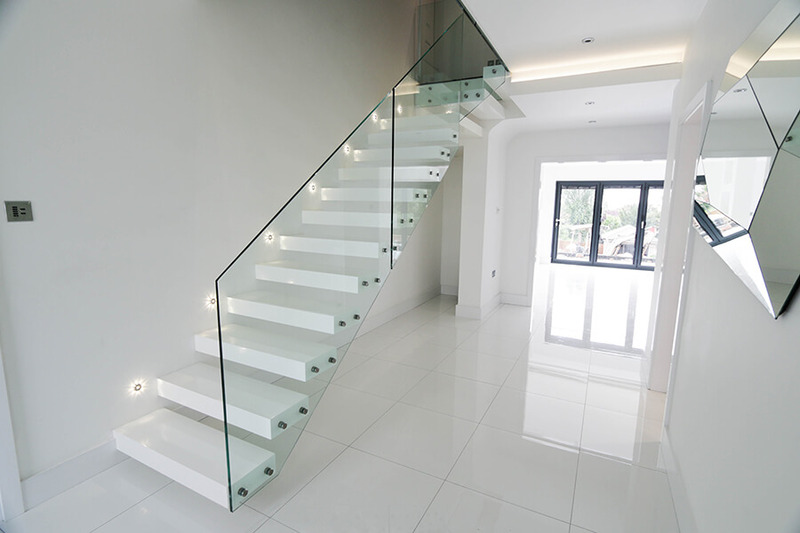 We couldn’t be more proud of this project. 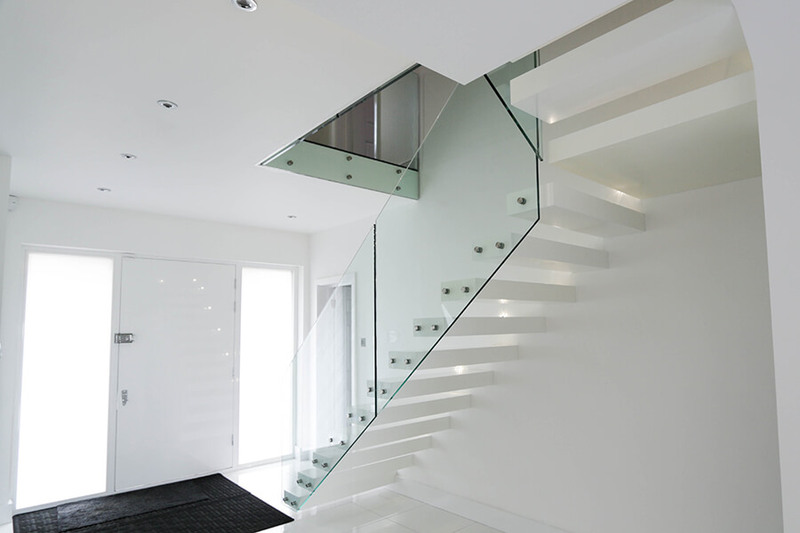 This elegant beauty is a custom-made floating staircase specifically designed to match the fresh look of the house. 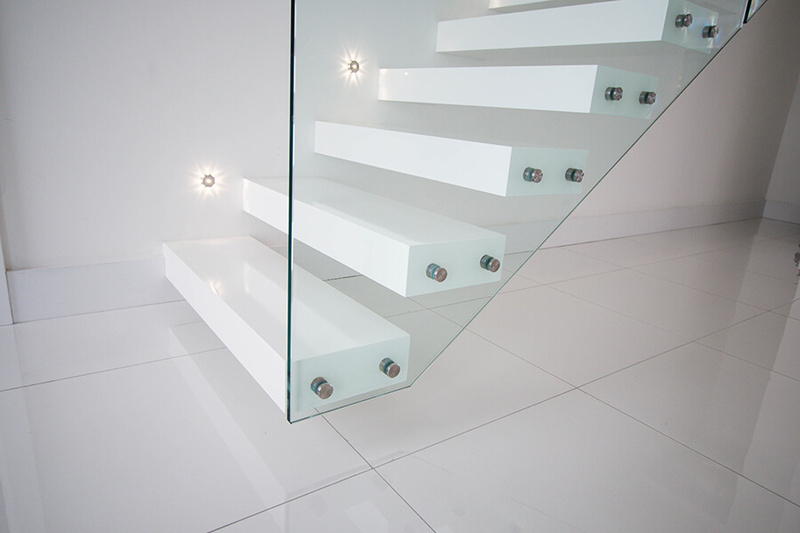 White high gloss acrylic material fitted over the treads answers all the aesthetic demands of a modern interior. 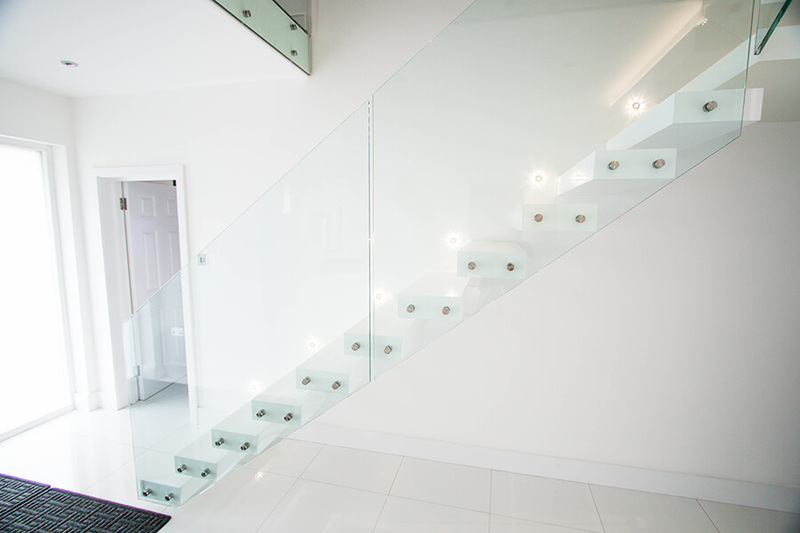 In order to underline the elegance of stairs, we fitted a transparent glass balustrade. Finally, the lights we installed on the wall have a special design that lets the light out from small spaces only, making them look like little stars. 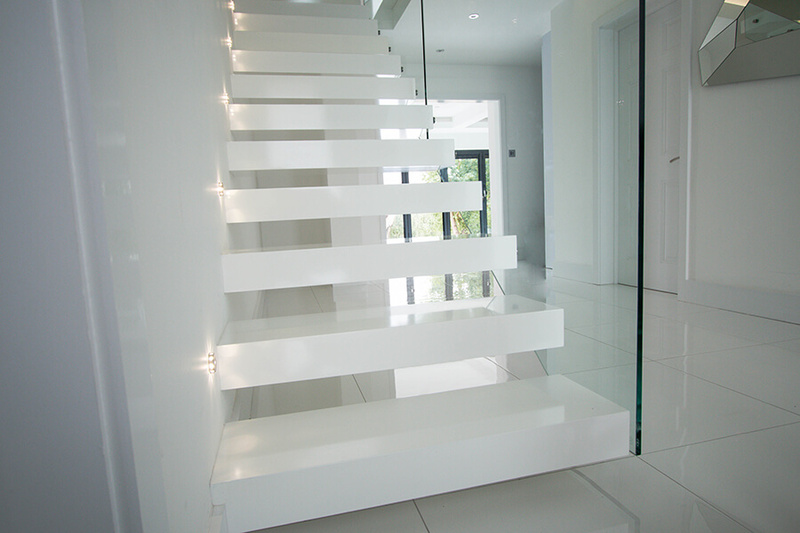 We can say with all the confidence that the effort we put into this project has paid off.